Announcing Friends of the Commodore Trail. You Can Be Part of Making this Neglected Recreational Facility the Jewel of Coconut Grove It Deserves to Be. Named for the founder of Coconut Grove, Commodore Ralph Munroe, the Commodore Trail is a five-mile multiuse facility that begins at the Rickenbacker toll plaza, continues through the center of Coconut Grove, and ends at Cocoplum Circle, where it connects with the Old Cutler Trail. Almost all of the Commodore Trail is within the limits of Coconut Grove. Runners, walkers, and bicyclists use the Commodore Trail on a regular basis. Officially designated as part of Miami-Dade County Route 1, the trail has the potential to be one of the most important recreational assets in the county. But the Commodore Trail is far from being Coconut Grove's crown jewel. Most of it is a mess. The trail is characterized by narrow sidewalks and pitted shoulders of a congested roadway. In places it's extremely dangerous for all users. Continually advocate for the Commodore Trail and organize campaigns to complete specific sections of the trail. Raise funds to pay organizers and advocates to keep the pressure on local decision-makers. Inform the community about progress with the Commodore Trail and send action alerts when progress isn't happening fast enough. Completing the Commodore Trail is a long-term undertaking. We need your support. 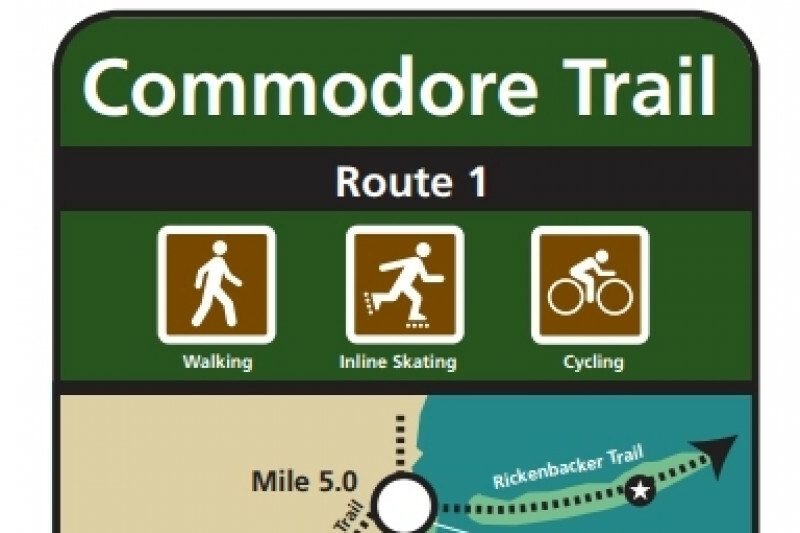 Please make a donation now to Friends of the Commodore Trail. Give as much as you can. To donate click on the "Donate Now" button on this page. You can also mail a check to Bike Coconut Grove, 3109 Grand Ave. #288, Coconut Grove, FL 33133. Thanks for your support of this important project. P.S. View a presentation on the Commodore Trail that describes the trail's problems and challenges.